The value of feed remains in dietary indigestible fractions. When formulation is thought based on indigestible nutrients, sustainable benefits are higher. Sustainable solutions for animal feed imply the use of numerous enzymes targeting antinutritional factors. In that purpose, enzyme solutions containing a multi-carbohydrase complex and superdosed phytase can allow achieving an important step forward. Indeed, as NSPases and phytase act on different substrates, there is no doubt on their complementarity to reduce anti-nutrients in feed and increase diet digestibility. Such combination results in significant improvements in the sustainability and performance of poultry production. Public concerns about agricultural practices is increasing. These public considerations are driving major changes in the animal production industry. Today the actors of the industry are seeking solutions to reduce their footprint on earth resources. Several indicators are considered when assessing environmental impact: global warming, acidification, ozone depletion, photochemical ozone formation, land use… In animal production, the phases with higher impact are feed preparation and breeding. 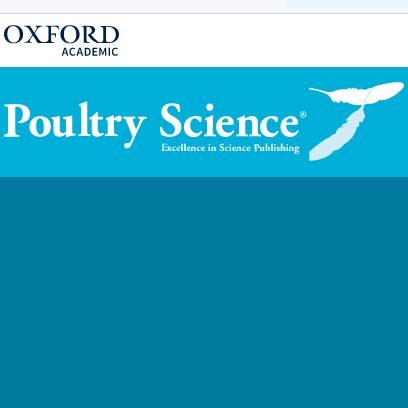 Providing insights into the indigestible components such as phytate and fiber in the poultry feed and their interaction is key for capturing the value of exogenous enzymes. In order to estimate the potential of enzymes in animal diets, nutritionists must first know what fraction of nutrients is not digested. As enzymes aim at turning part of indigestible nutrients into digestible, knowing the amount of indigestible nutrients helps evaluating the potential of enzyme response. Reformulating diets based on this information is a good way to optimize the use of feed ingredients, by including some raw materials which will have a higher content of indigestible fraction and consequently have more sensibility to enzymes. This is also part of a strategy to avoid having some nutrients in excess compared to the animal real needs. All these practices are interesting levers to improve sustainability. However, to ensure that performance is not adversely affected by reducing the nutrient density of the feeds, caused by nutritional effects not related to the role of enzymes, some precautions for nutritionists are recommended during the formulation process. Here are some highlights to avoid: the excessive reduction of the fat content of the diet and/or the amount of oil/fat added; the imbalance in the energy to protein ratio; and the significant inclusion of raw material with low nutritional value. Such strategy might result in impairment of enzyme return on investment. When applying these feed formulation strategies, the objective is to be as close as possible to the animal requirements. As more nutrients are utilised and taken up by animal, less is secreted into the manure and ultimately into the environment. A supplementation of multi-carbohydrase could decrease by 13% the excretion of ammonia (Geraert et al., JRA, 1997), and the combination of multi-carbohydrase and superdosed phytase compared to no enzymes in the feed, decreased the P excretion by 37% (Bello A. et al, APPC, 2018).